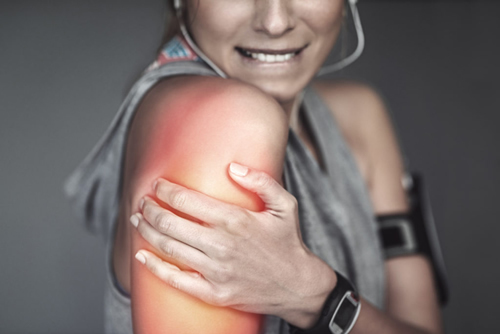 A shoulder dislocation occurs when an injury causes the ligaments in the shoulder to separate and the upper arm bone pops out of the shoulder socket. Since the shoulder has such high mobility, shoulder dislocations can be a common occurrence. Emergency treatment is required for shoulder dislocations. Intense pain is likely to be the first symptom noticed during a shoulder dislocation. Patients can often feel the shoulder as it pops out of the socket. The majority of shoulder dislocations occur from falls with the arms outstretched or a direct impact to the shoulder. If the patient has pain in other areas caused by the injury, he or she may not initially realize shoulder dislocation has occurred. Along with pain, patients may feel weakness and numbness in the area surrounding the shoulder blade. 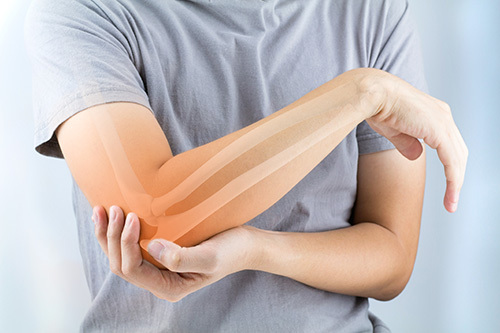 For an anterior dislocation, the upper arm bone pushes forward. The posterior dislocation means the bone goes toward the back. An inferior shoulder dislocation means the bone has moved downwards. Most shoulder dislocations are anterior while only a small percentage are posterior and inferior dislocations. Never attempt to treat a dislocated shoulder at home. 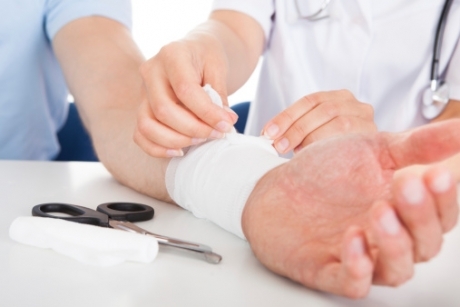 Self-treatment could inadvertently worsen the injury. Contact a physician to confirm shoulder dislocation and review treatment options available. Treatment options may include shoulder relocation, slings and orthopedic surgery. A broken finger, though it might sound innocuous, can be a very painful, life-altering injury. By definition, a broken finger is a fracture or break of any one of the three bones that make up the finger. A broken finger is a common injury, but one that merits a visit to the doctor. This is because when these breaks aren’t properly treated, they can heal out of alignment. This, in turn, can cause future pain and will look odd as well. A finger injury can happen in a variety of ways. One of the most common is when the finger is crushed between two objects. A finger being struck by a ball or other fast moving item is another common cause. The most common symptom of a broken finger is pain immediately after trauma. Sometimes, patients will notice a slight or significant deformation in their finger as well. A broken finger might still have some range of motion, which is a common misconception. Swelling and bruising often occur 5-10 minutes after the injury takes place. Numbness can also occur due to nerves being cut off as a result of swelling. The first step after a finger injury is determining the extent of said injury. To determine if the finger is displaced, fractured or broken, the finger must be X-rayed. Most broken fingers are simple fractures, that don’t include a displacement of bone. The treatment for this type of injury is a splint that will keep the finger immobilized while it heals, a process which typically takes between three and four weeks. Finger buddy taping might also be implemented. When a broken fragment of bone is displaced, this is considered a more complicated fracture or break. This might also include a break in the bone in more than one location. In this instance, surgery is often the only treatment to ensure the finger heals properly. This type of surgery includes a surgeon pinning the two bone fragments together so they can heal properly. Having a broken finger treated by a specialist is the best way to ensure it heals properly and doesn’t cause additional issues down the road. Make an appointment today to learn how we can help you. EVEN WOMEN IN THEIR 50’S CAN BREAK BONES DUE TO OSTEOPOROSIS. COULD YOU BE AT RISK? Fracture fact: 1 in 2 women over the age of 50 will have a fracture caused by osteoporosis in her lifetime, according to the International Osteoporosis Foundation. It’s true that older people are more prone to fractures. But even women in their 50’s can break bones due to osteoporosis. If you have osteoporosis, it’s important to care for your bones. But first, it’s important to understand what osteoporosis is, and take a simple test to find out if you are at risk. Osteoporosis can affect women as young as age 50. It’s a progressive disease that lowers the density of bones over time, making them weaker and more likely to fracture. 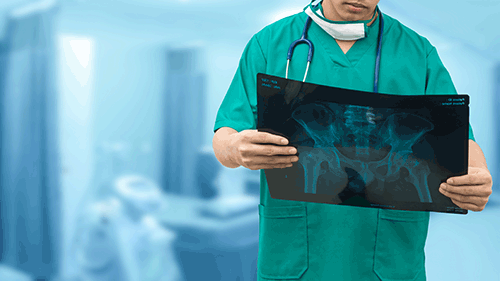 Even a fragility fracture, which is when a bone breaks from simply falling from a standing height or lower, can seriously impact your day-to-day life. Once you’ve had a fragility fracture, your risk of having another increases. That first fracture should be your cue to talk with a board-certified orthopedic physician about treatment options that might lower your risk of fracture. Osteoporosis is most commonly called a “silent disease” because you can’t actually feel bone loss. You may not realize you have osteoporosis until a strain or fall causes a bone to break. Measuring your bone mineral density, or BMD, is the best way to know if you have osteoporosis and how much you are at risk of fracture. Taking calcium and vitamin D and exercising can help keep bones strong, but may not be enough when it comes to treating osteoporosis in postmenopausal women. Taking vitamins and exercising are important from a young age for building bone strength. Normally, your body breaks down old bone and replaces it with new, healthy bone. Estrogen helps regulate this process. However, with the onset of menopause comes the loss of estrogen, causing women to lose more bone that is being replaced. If you have osteoporosis, talk to your doctor about prescription treatments that may help reduce your risk of fracture. 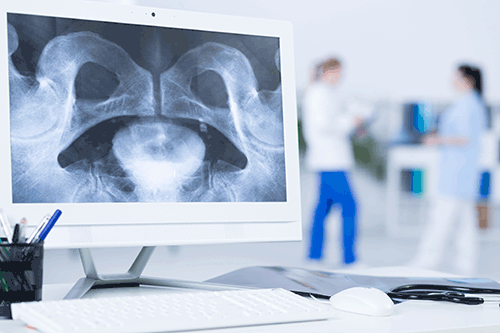 If you’re unsure about your risk of osteoporosis, schedule an appointment with a board-certified orthopedic physician for a simple, non-invasive bone mineral density test. When you need an orthopedic surgeon, you want to find the best. After all, this professional can have a big impact on the quality of your life in the future. 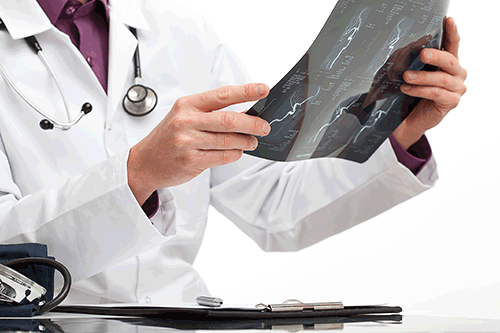 When seeking orthopedic doctors in NJ, there are several different traits to look for. First, you want to ensure that an orthopedic doctor has attended an accredited college that is recognized by the American Academy or Orthopedic Surgeons. You can ask your orthopedic doctor where he graduated from and ask for proof of a degree. In addition to the proper education, it’s wise to inquire about an orthopedic surgeon’s experience. Some surgeons may only specialize in knee or foot repairs. Be sure to inquire about your physician’s specialty and experience. A good quality physician will have plenty of experience in your specific area of concern. Education and experience of the formula for finding good orthopedic doctors in NJ. Bedside manner and a strong work ethic are important factors, too. An orthopedic surgeon with a good bedside manner is compassionate, patient, kind and understanding. Any good orthopedic surgeon needs a strong work ethic. They must be willing to put in the time and devotion for their patients. These traits are key to your treatment and recovery. Lastly, it’s wise to choose an orthopedic surgeon with a specific treatment philosophy. Ask your surgeon to explain their own philosophy in relation to your treatment and recovery. You may not fully understand the scientific process, but you’ll have a good idea on how they will approach your treatment. There are several steps to take in order to prepare yourself for ankle surgery. And taking them will make surgery and post-op recovery much smoother. Be sure to talk with your physician about any medicines you’re taking, including over-the-counter meds. Some meds like aspirin should be discontinued, as it thins the blood and may cause more bleeding during surgery. Tell your physician about any allergies you may have, including latex. If you have an infection prior to surgery, such as a bladder infection or a sore throat, call your physician and advise them. It’s possible the surgery may need to be rescheduled until the infection is gone. If you smoke, stop. Your body needs oxygen during surgery, and tobacco products decrease the amount of oxygen to your tissues. Be sure to eat healthy prior to surgery. If you’ve had any problems with constipation, let your physician know. Prior to surgery, tests will be ordered to ensure your readiness for surgery. Likely, you’ll have to have some blood tests and an ECG. These procedures may be done in your physician’s office or in the pre-admission unit at the hospital. Don’t eat or drink anything after midnight the night prior to your surgery, as this will increase the chances of vomiting and nausea both during and after the surgical procedure. Likely, you’ll need some assistive devices after surgery. If you’ve obtained crutches or a walker before surgery, be sure to label them with your name and bring them with you to the hospital. Plus, you’ll need to make arrangements for someone to take you home from the hospital. You won’t be allowed to drive home on your own after the surgery. If you’re wondering how to prepare for ankle surgery, it’s not rocket science. Take these simple steps, and you’ll be good to go. Many people seeking the best orthopedic surgeons near me in Monmouth County find Dr. Marshall P. Allegra. Dr. Marshall P. Allegra is a board-certified orthopedic surgeon in medical practice in Monmouth County for over two decades. He is a member of the American Academy of Orthopedic Surgeons and a Diplomate of the American Board of Orthopedic Surgeons. Dr. Marshall P. Allegra specializes in full and partial joint reconstruction, arthroscopic surgery, hand, foot and ankle surgery and offers non-surgical care for fractures. When you visit his practice, he’s the only doctor you’ll see. He is patient-focused and an excellent diagnostician. He will determine the root cause of your pain and determine the best treatment options. Dr. Allegra has helped more than 500 patients with knee and hip replacements from Monmouth County and other surrounding areas. Turn to Dr. Marshall P. Allegra for all of your hand, wrist, foot and ankle surgeries. He is trained and experienced in the reconstruction of bones, muscles and tendons in the hands, feet and ankles. Using the latest in medical technology, he has successfully treated athletic injuries, tumors, carpal tunnel syndrome and more. His goal is to restore you to a pain-free active life. We use our hands and feet for everyday tasks and activities. 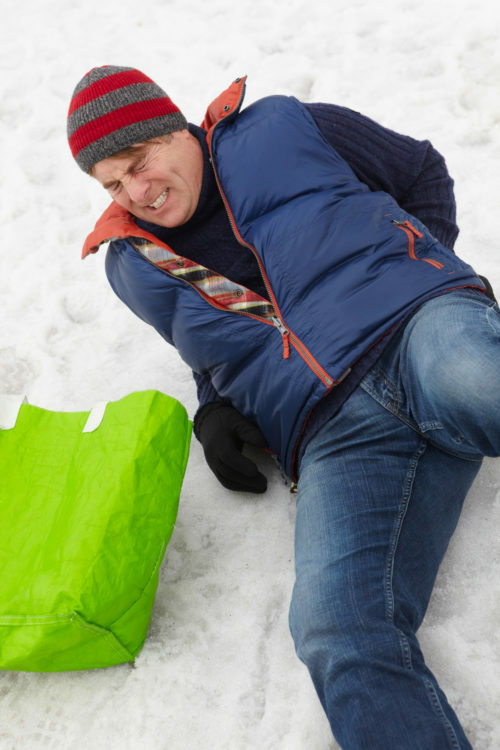 It’s not uncommon to incur an injury due to accident or overuse. Contact Dr. Marshall P. Allegra for a one-on-one consultation. He’ll let you know what your treatments are, so you can get back to enjoying your life. Orthopedic surgery is a surgical procedure performed on the musculoskeletal system for the correction of injury or other conditions. The musculoskeletal system is made up of bones, joints, and soft tissues such as muscles, ligaments, and tendons. Any part of the musculoskeletal system can become impaired through injury/accident or caused by other degenerative conditions. Orthopedic surgery can performed through traditional open surgery, or arthroscopically. Arthroscopy is a surgical procedure on a joint that is minimally invasive as treatment is provided using an arthroscope inserted into the joint through a small incision. Soft tissue repair, for torn ligaments and tendons. Joint replacement, in which a damaged joint is replaced with a prosthesis. Revision joint surgery, in which a preexistent implant is changed with a new one. Debridement, during which damaged soft tissues or bones are removed. Fusion of bones, in which bones are fused with grafts. Spine fusion, during which the spinal bones (vertebrae) are joined together. Osteotomy, aimed at correcting bone deformities. Dr. Marshall P. Allegra is a board-certified orthopedic surgeon with over 23 years experience treating patients in Monmouth County. 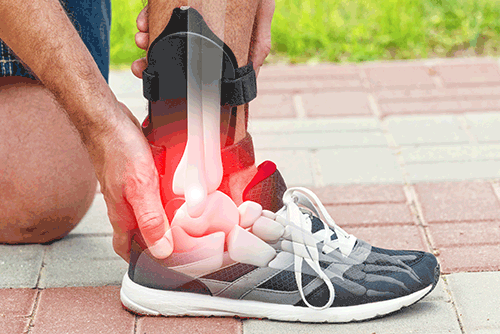 Depending on the type of condition or injury, Dr. Allegra may recommend fixing a fracture with rods, plates, and screws that will hold the fracture together during healing. Contact the offices today for answers to any questions you may have or to schedule an appointment.